Sending the kids outside to play isn’t just a good way to get them out of the house, it’s also beneficial for their mental health. And as a new study from Aarhus University in Denmark shows, children who more spend more time in nature may be less likely to develop various psychiatric disorders as adults. There are a number of other factors that affect mental health, including family history and genetic predispositions to certain conditions. And the point of this study isn’t to scare city dwellers—it’s to reinforce for the idea that “green space” is good for kids, and integrating natural environments into urban areas has proven benefits as well. The fact is that kids just don’t spend as much time outside as we did growing up. One 2016 survey from U.K.’s National Trust showed that the average child spent just over four hours a week enjoying Mother Nature, compared to the 8.2 hours their parents logged when they were little. We can chalk it up to our busy schedules and the rise of technology, but that doesn’t change the fact that our kids aren’t getting much fresh air and sunshine. Many parents are trying to change to this, though. Take Ginny and Jason Yurich, a Michigan mom and dad who started 1000 Hours Outside, an online community encouraging families to (you guessed it) aim to spend 1000 hours a year in the great outdoors. There’s plenty of evidence that suggests unstructured outdoor play is key to a child’s development, and we’re of the mindset that every little bit counts. What the Yurichs are saying, though, is that when kids are able to spend longer periods of time outdoors, the benefits are even bigger. Nature also provides the perfect place for kids and parents to be active and explore the world around them. It isn’t always possible to head outside and play, but when the weather’s right and you can carve out some time in the family’s schedule, it’s a wonderful, affordable way to engage those little ones and their developing minds. This article was written by Rebecca Macatee from Parents and was legally licensed through the NewsCred publisher network. Please direct all licensing questions to legal@newscred.com. In this busy world, there seem to be fewer and fewer times when a family has the opportunity to assemble all in one place. When a Mom has to work as well as take care of the kinds, these times seem to be even harder to come by. Kids often are burdened by extracurricular activities when they’re not in school, or else they’re out spending time with their friends. Sometimes even when they are home, it’s impossible to carve time out to get everybody in the same room to do something together. The kids might have homework, or you might have to bring some work home with you. You might all even get caught up in your cell phones. Yet it’s been proven time and again that the benefits for families who spend time together are numerous. It might even require you to demand a certain night be ordained each week as Family Night. Whatever gets you and the kids together in the same room in the house together for a couple of hours with no distraction is clearly worth it. Once you’ve got everybody corralled and ready to have some fun, you need to be ready for some fun activities to keep their attention. You can always fall back on things like movies or board games, but why not come up with something different than the usual? That will make them crave Family Night instead of dreading it. If you’re looking for a new location for Family Night because your old residence doesn’t cut it anymore, there are new homes for sale for just about every budget that will meet your family’s needs. 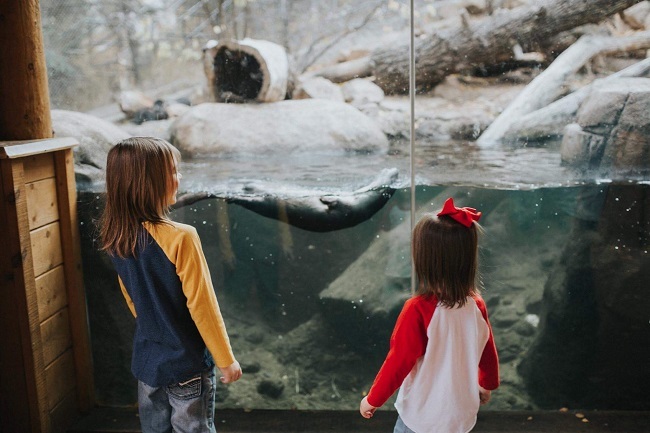 Once you get there, consider these activities with your kids to make it a night they won’t forget. One of the most exciting new entertainments to come around in the past decade or so are escape rooms. They require people to unite to solve problems in order to get out of a locked room. You can come up with some way to incorporate this into Family Night. Create the puzzles yourself, and then make the kids work together. If they get out in time, have a reward waiting. It can be a lot of fun to have everyone in the kitchen pitching in together for a family meal. Have the kids get together to agree upon a fun recipe which everyone will like. Even if it’s a sugary dessert, give them a break on the nutrition for a night so they can have a little fun. Instead of just popping in a video or streaming a movie, you can create entertainment for the kids by cueing up a bunch of home videos, whether they’re on tape or on someone’s phone. Or you can pull out old photo albums. You’d be surprised at how nostalgic kids can be. 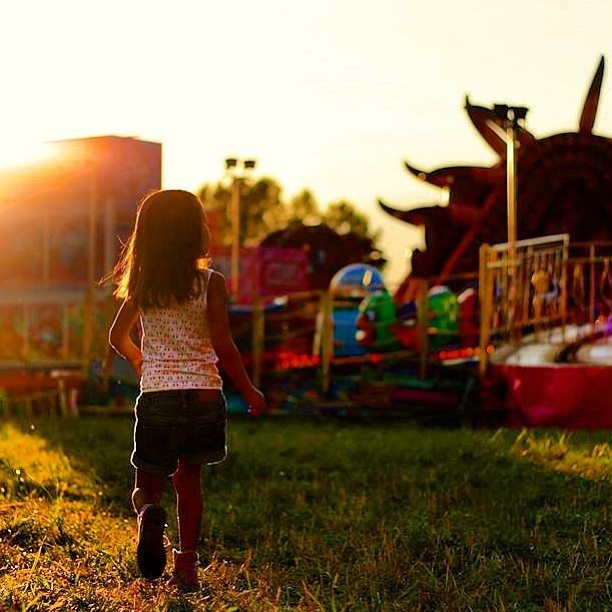 Remember that kids will react to new and exciting activities that are different from the norm. Use your imagination to make Family Night at your home the place to be. Your little one is year older and super excited about the upcoming birthday party. It must be the most awesome party in the whole class. 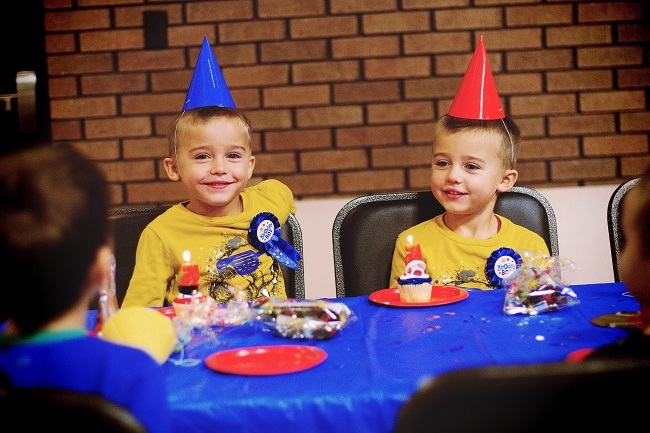 Here are a few themes that can make any birthday party tons of fun and entertaining. Adults can paint animal faces on younger children. Be sure to use the appropriate type of face paint. Encourage all the children to come dressed as their favorite animal. Have themed cake or cupcakes with zoo animal faces. Set up some of your child’s stuffed animals around the house and walk through a safari path that you have made, pointing out the animals as you go. Hand out grass skirts to guests as they arrive. Set up a tiki bar with various flavors of fruit punch. 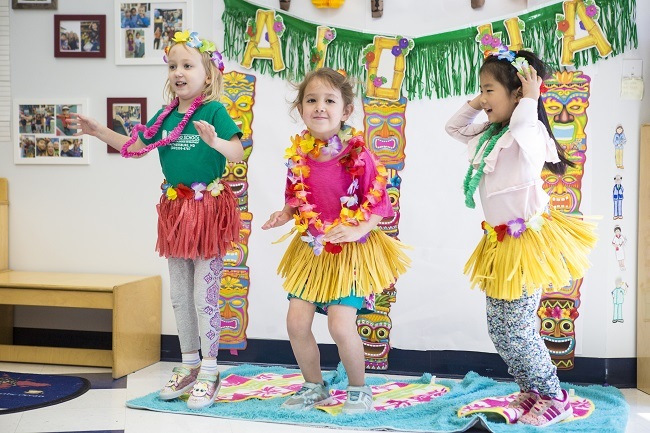 Demonstrate a simple luau dance and encourage all the guests to learn how to do it. Give all the children a goodie bag with items that they can use at the beach for their next family vacation. If you have a family pet, get creative and present a lion taming show with your pet. Find a long piece of wood with no rough edges or use a few old shoe boxes taped together to make a small balance beam. Assist your aspiring acrobats across. Set up games like pin the tail on the donkey, ring toss or a water balloon toss if it’s warm outside. For those daring parents, set up a pie-throwing Children will always remember the birthday party where they were able to throw some pie. 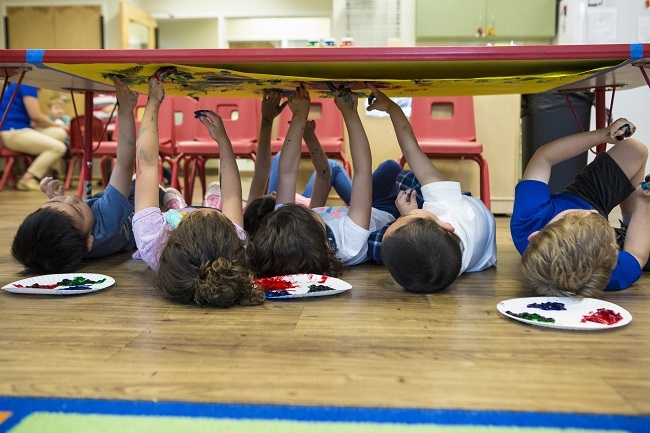 Additional creative themes include a fantasy land, a scientist’s laboratory, an undersea adventure, a spaceflight, a pirate’s treasure hunt or a prehistoric-period adventure with dinosaurs and fossils. 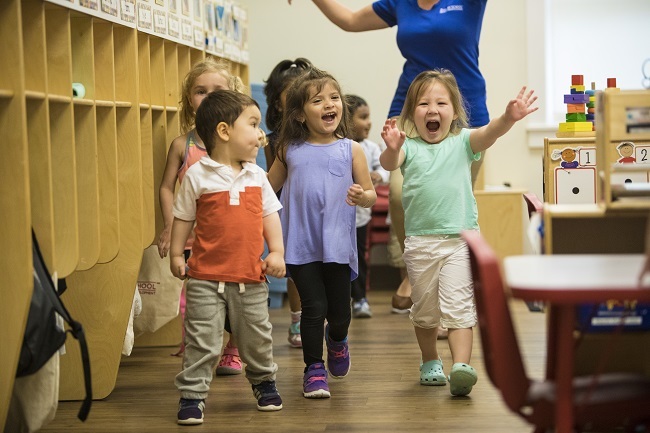 Goddard Systems, Inc. (GSI), franchisor of The Goddard School® a play-based, preschool system, has given children the chance of a lifetime to test the most innovative educational toys on the market through its 10th annual Preschooler-Approved Toy Test. Preschoolers from 50 Goddard Schools located across the United States voted for their favorite toys, and GSI is proud to announce the Top 10 Educational Toys they chose for 2017. 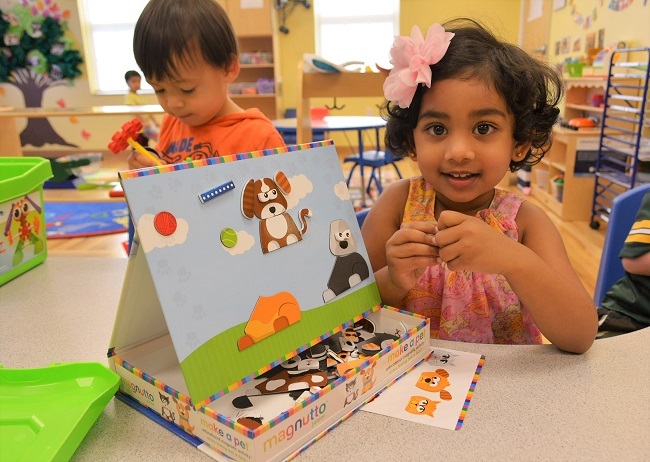 This summer, dozens of submissions from the world’s leading toy manufacturers were reviewed by The Goddard School Toy Test Committee, a team of early childhood education experts. The committee judged each submission by how much the toy encourages interaction and child-initiated play and by the toy’s ability to promote creativity and collaboration while maintaining the child’s creative interests over time. The children, who range from six weeks to six years old, were sent 25 toys to play with and critique. With the help of their teachers, the preschoolers selected their favorite toys, and GSI compiled the results. Voting to select 2017’s winning toy is now open to the public. The public can vote by visiting The Goddard School’s Toy Test page from November 1 to November 10, 2017. GSI will purchase one hundred units of the winning toy and donate them to Toys for Tots, a program run by the United States Marine Corps Reserve that distributes holiday gifts to less fortunate children in the community. Past Preschooler-Approved Toy Test winners include Laser Pegs, K’NEX Brands, Learning Resources and John Deere’s Gearation Board. 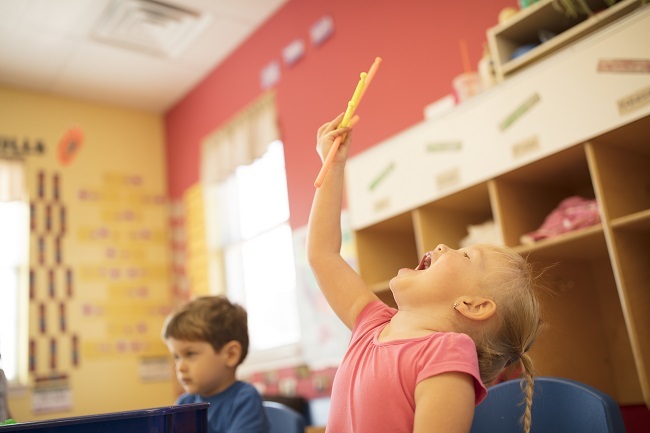 For more information on The Goddard School and the Preschooler-Approved Toy Test, please visit www.goddardschool.com/toytest. On Monday, August 21, 2017, the moon will cover the sun, causing rapid temperature drops throughout the United States. This is known as a total solar eclipse. 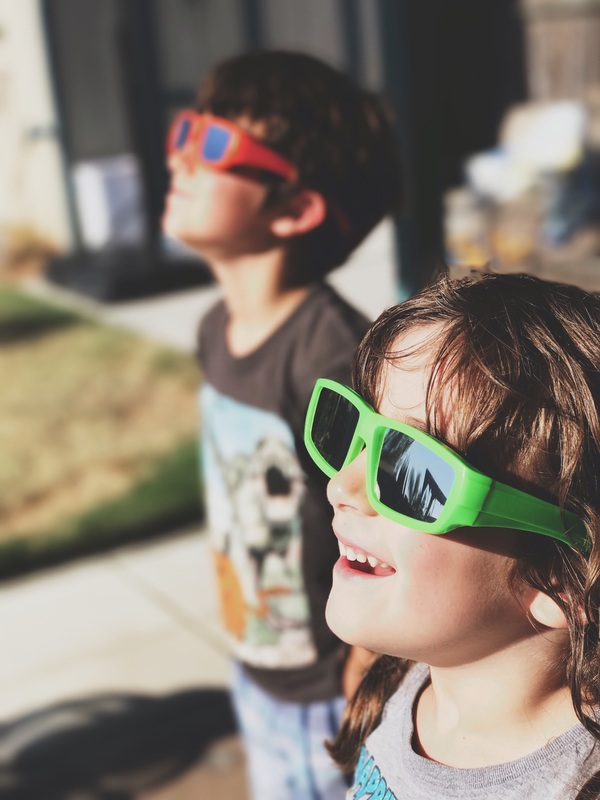 You can complete a simple craft with your children to help explain what the solar eclipse is and how it will look. Guide your child in cutting out a large circle from the yellow sheet of paper and glue it to one of the black sheets. Next, take the second black sheet of paper and cut out a circle slightly smaller than you cut from the yellow sheet. Slide the black circle across the yellow circle to show the different phases of the eclipse. Once you are done discussing the phases, glue the black circle to the center of the yellow circle so that just the edges of yellow are showing. This representation is a great way to explain to your children how the solar eclipse will look. While completing this craft, discuss with your child why solar eclipses happen and how often they occur.